The Abarth 124 Spider takes the sports car that Fiat created and ekes out more power and enjoyment. It’s not perfect, but if you can live with its foibles and don’t mind paying over the odds, then you’ll find it a lot of fun. 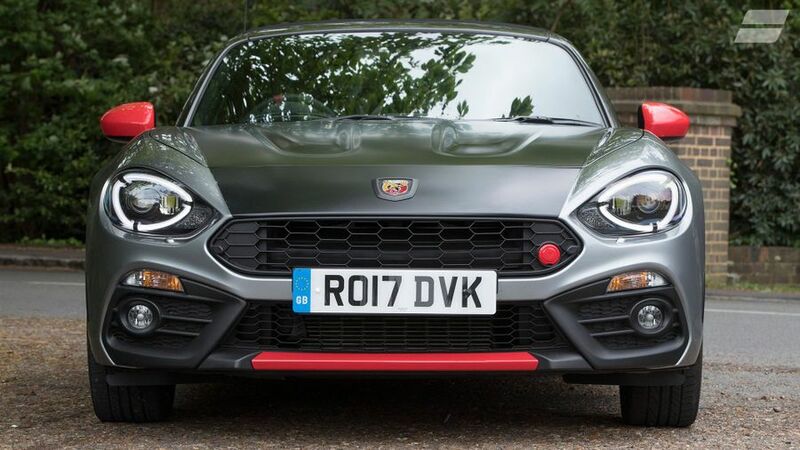 Interested in buying an Abarth 124 Spider? 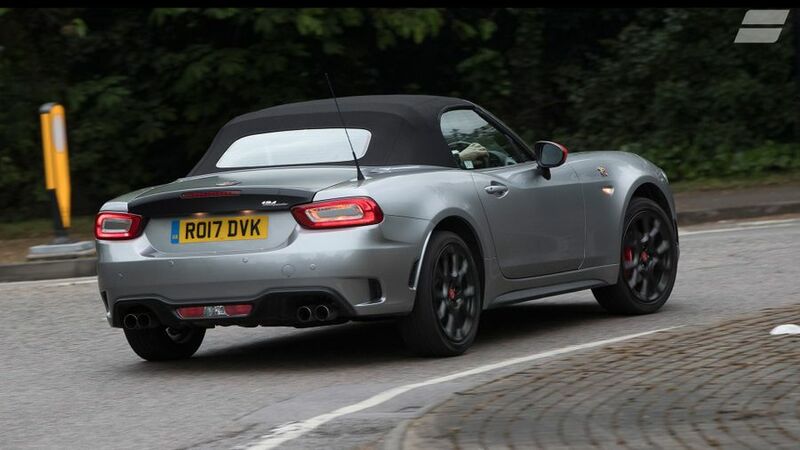 As you’d expect, Abarth’s 124 Spider looks very similar to the Fiat version upon which it’s based. But the tuning department has added plenty of cosmetic touches to make it stand out. Although just one trim level is available, you can opt for a matt black bonnet and boot lid – known as the “Heritage Look” – for no extra cost. All cars get 17-inch alloy wheels, LED rear lights, front fog lights, red or grey inserts around the exterior (depending on what colour you opt for) and a quad exhaust. Black is the standard paint colour, with red and white available as an option, or blue and grey for a bit more cash. 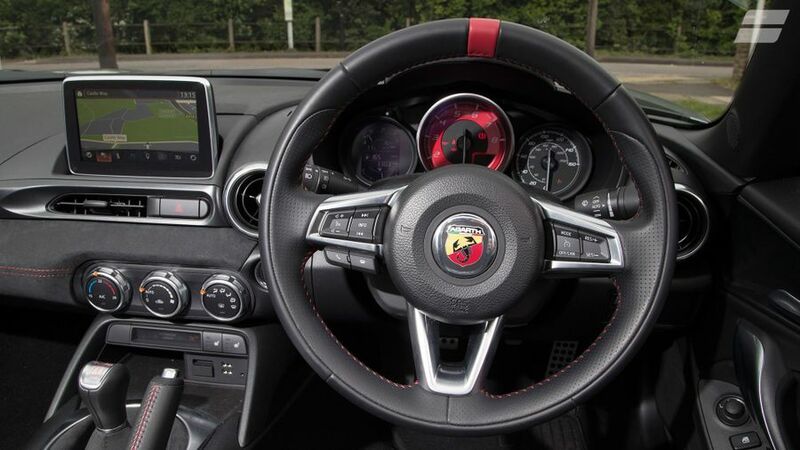 One of the Abarth’s biggest failings is the lack of adjustment in its interior. With a steering wheel that doesn’t adjust for reach, it’s very tricky for taller drivers to find an ideal position; either your arms are ramrod straight, your knees are too bent or your head is thrust into the canvas roof. For some, that alone is enough to write the 124 Spider off. If you do fit inside however, you’ll find a low driving position in a nicely solid interior with a good solid quality of materials and some nice Abarth embellishments; there are scorpion badge emblems dotted around, and a nice numbered plaque between the seats. The infotainment system is operated by a dial behind the gearstick; just be careful not to knock it with your elbow when cycling through the gears. Sports cars are rarely built for practicality, but the 124 Spider is especially free from such concerns. There are no cupholders, no door pockets and no glove box, just a cubby hole between the seats and a small tray under the centre armrest. The boot has a high, horizontal aperture, making it more like a box than the kind of rear-facing openings we’re used to. 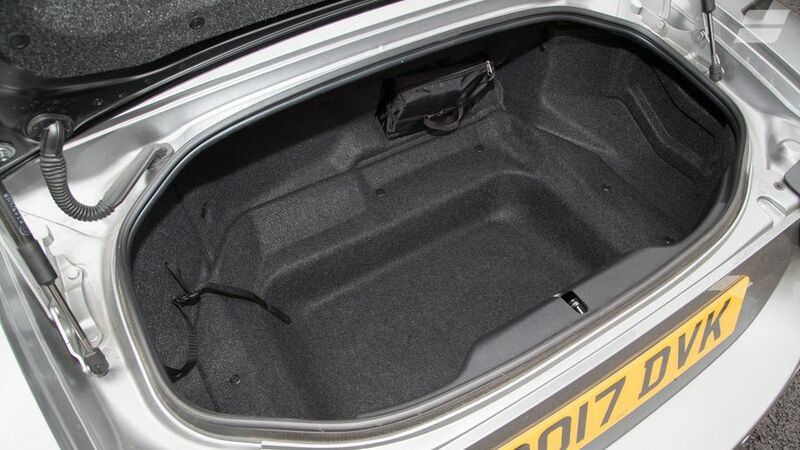 But with no motors or large stowage space required, the boot is a reasonable 140 litres; slightly larger than an MX-5 and space enough for a couple of large holdalls. The manual roof operation is refreshingly simple; a clip in the cabin unlocks it, and you just fold it back behind you until it clicks. Putting it back up is similarly straightforward, taking less than five seconds. You don’t even need to get out of your seat. The Fiat version of the 124 Spider is itself an evolution of Mazda’s MX-5, which is a solid place to start from when building a modern sports car. Abarth hasn’t reinvented the wheel in its take on Fiat’s machine; instead it’s massaged what Fiat produced to get a bit more poke out of it. A limited-slip differential enhances cornering ability, which is further boosted by a surprisingly grippy back end, meaning you can really fling the Spider around when the road allows. A very light kerb weight by modern standards, combined with rear wheel drive, a manual gearbox and lower, stiffer Bilstein suspension mean that, away from the motorway, the Spider is a proper giggle, with communicative and weighty steering. The extra stiffness means a slightly harsher ride than Fiat’s 124, but not to any great discomfort; it’s fine for everyday use. The only real downer on the experience is with the roof up, cruising on the motorway, when wind noise is considerable; something compounded by the droning sports exhaust. Abarth has boosted the power on Fiat’s 1.4-litre turbocharged engine, giving it 168bhp compared to 138bhp in the Fiat version. That might not sound much in these days of 300bhp-plus hot hatches, but it’s plenty in a lightweight convertible like this, and the little engine sings as you rev it hard. The sports exhaust is raspy if not exactly beautiful to the ear, but it still further enhances the fun. This isn’t a car about top speeds and acceleration figures, it’s a machine for the senses, and it tickles them very nicely, especially with the roof down. An automatic gearbox is available but we’ve only tried the six-speed manual, which is weighty, tight and a pleasure to use, with a very satisfying short throw. 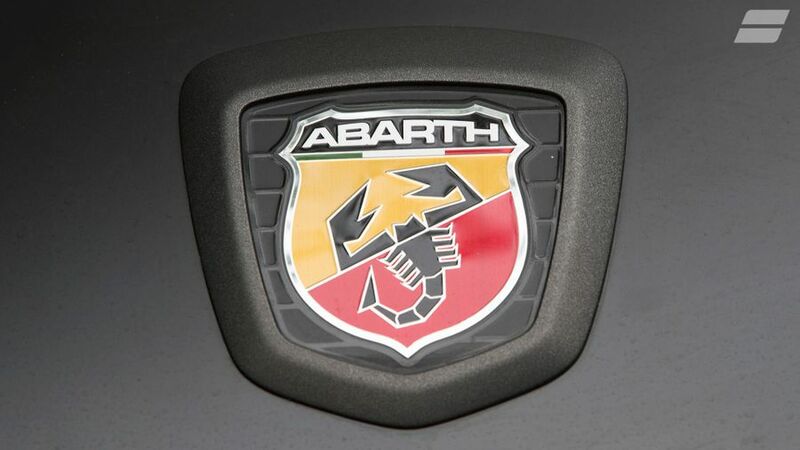 If there’s a big question mark over the Abarth, it’s the price. Considerably more than the Fiat 124 Spider and the excellent Mazda MX-5 RF, it’s a expensive machine. The small engine doesn’t mean it’s particularly frugal with fuel either, returning an official combined economy of 44.1mpg with a manual gearbox and CO2 figures of 148g/km. Depreciation is likely to be worse than on the Mazda, and servicing pricier too. The 124 Spider’s Mazda underpinnings are an excellent sign for reliability, as the Japanese manufacturer has an excellent reputation. Mind you, Fiat’s isn’t too bad either, sitting in the top half of manufacturers rated in Warranty Direct’s Reliability Index. That said, the factory Abarth warranty is only two years, but UK dealers add another 12 months to that to make it three in total. 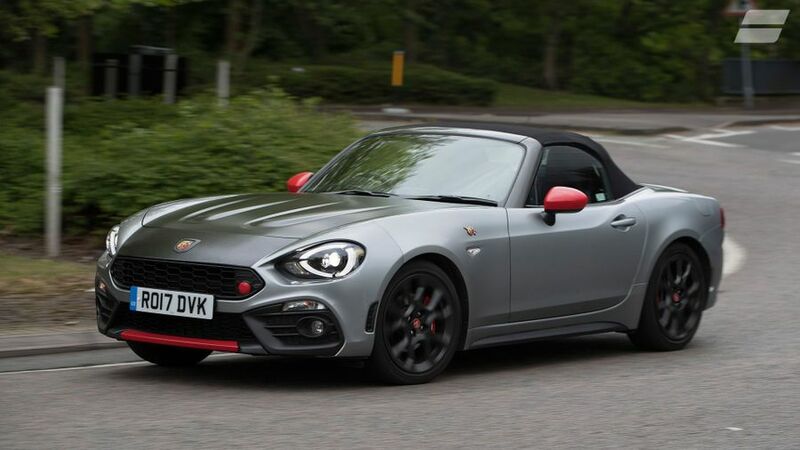 The Abarth mirrors the Fiat 124 Spider in terms of safety features, which means four airbags, a braking stability system and electronic stability control but not a huge amount more than. Neither Abarth nor Fiat has seen the 124 Spider tested by crash test organisation EuroNCAP, but the Mazda MX-5 – upon which both are based – scored four out of five stars. With only a single trim level, the Abarth has most of its kit included as standard. Keyless entry and start, climate control and a DAB radio system are all bundled in, and you can have your upholstery in black or red leather at no extra cost. Options are largely limited to a ten-speaker Bose sound system and a Visibility Pack, which includes automatic headlights and rear parking sensors. Because you’ve got your heart set on something a bit different. 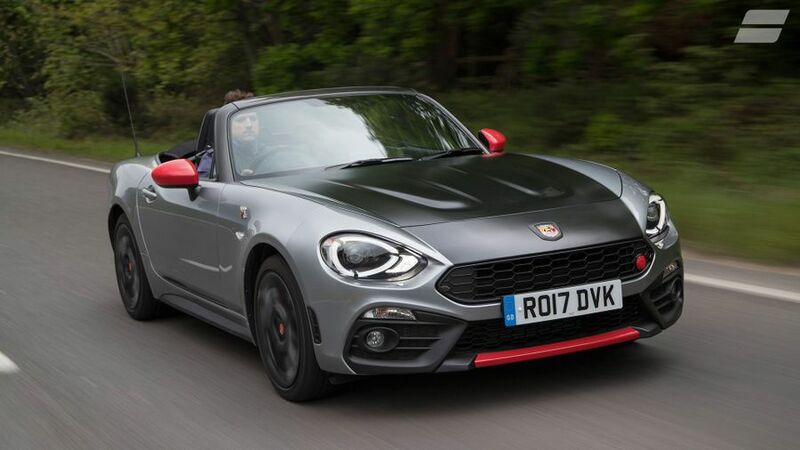 The Abarth 124 Spider is a distinctive car that’s engaging and fun to drive. But it’s on the pricey side to buy and run, and there are other cars, almost mechanically identical, that offer more sensible alternatives. 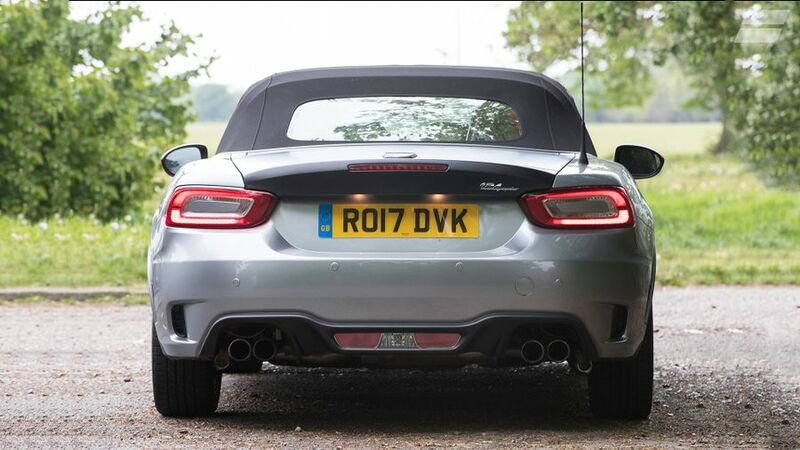 Still, if you particularly like the vibe that Abarth provides, you should find plenty of amusement in its 124 Spider.